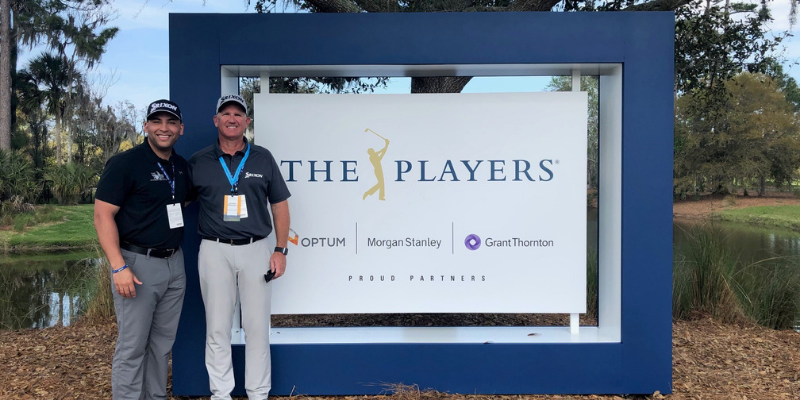 When I arrived at the course, we made our way over to the Srixon trailer where I was introduced to Rob Waters (PGA Tour Manager) and Will Keyes (Tour Van Technician). I was able to get a tour of the rig which included everything you would imagine. All of the latest equipment, 2 work stations for club repairs and adjustments, and cabinets stocked with balls and hats for each individual player. There was even a lounge space for the players and staff to hang out. Since it was my first time at TPC Sawgrass, Rodney suggested I walk the course and check out some of the greatest holes in golf. I headed straight for the finishing stretch (16 - 18) to see areas such as the tee shot at 18 and infamous island green. One of the unique parts about the experience was that the course was closed to fans that day, therefore I was able to go “inside the ropes” and get an up close view of the players and caddies. As you would expect during a practice round I saw many caddies taking notes and getting an idea of possible pin locations through the week. After lunch I met back up with Rodney in the Srixon trailer and got to meet Srixon/Cleveland staffer Shane Lowry and his manager Brian. Shane had just arrived from Orlando after playing in the Arnold Palmer Invitational and was looking to make a change with his driver. He previously was playing with a driver from a different company but was very interested in putting the new Z585 driver in the bag for THE PLAYERS. While Rob and Will from Srixon were working on getting him set up with the proper specs and shaft, Shane and Brian were extremely friendly. 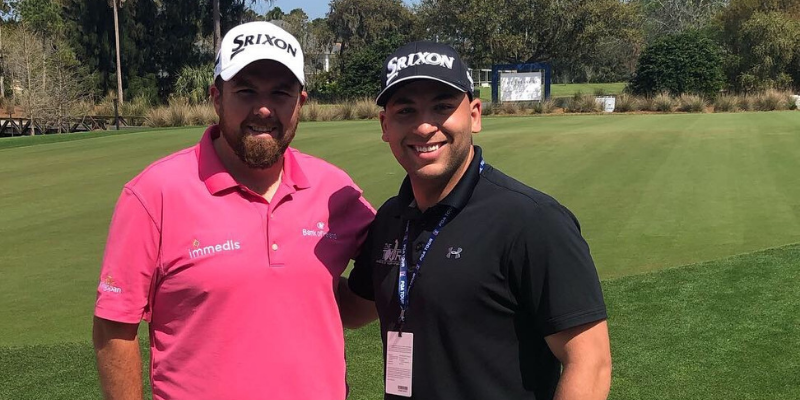 We talked about everything from going to Disney World while he was in Orlando to the new PGA Tour schedule and the European Tour’s Race to Dubai. Once the clubs were ready to go, we headed out to the range so Shane could test them out using Trackman and get dialed in. I watched him hit 10 balls in a row dead straight that carried over 300 yards. You’ll hear many people say that “it just sounds different” when you hear a PGA tour player hit the ball and that is 100% true. It was easy to see that Shane was very happy with how the driver performed and was comfortable putting it in play for the tournament. Later in the day I had the chance to go in the Clubhouse and check out the pro shop. While I was browsing around, one of the staff members pointed out the exclusive line of clothing and accessories featuring The Players Club signature goat logo that is only sold the week of THE PLAYERS in the clubhouse. There is a great story about the history of the goats at TPC Sawgrass you can read here. I wanted to buy something to commemorate the day so I picked up a pin flag with the goat logo for my office so I can always remember this special day. I cannot thank Srixon and Nextgengolf enough for selecting me to participate in this experience and the program. I am proud to support two amazing companies and help expose others to the great products and opportunities they offer.